The weekly lottery has been a key source of income in recent years. It helps the Club invest in the facilities needed to accommodate the growing membership. The dedication of those selling tickets on a weekly basis and the support shown by those buying tickets is very much appreciated. Thank you very much for your continued support! To help us reach more supporters every week, we are delighted to announce that our weekly lottery is now online! 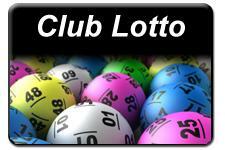 The weekly lottery is a great way for you to show your support and is critical to further developments planned. So please dig deep and get behind your Club. Spend just €2 a week and help build a brighter future for our Club & our Community. Watch out for further emails on “How to play the weekly lottery online” in coming days. Please spread that word and like us on Facebook to help connect us with supporters far and wide.